Shih-Hao Peng is with the Institute of Computer Science and Information Engineering, National ILan University, ILan, Taiwan. (e-mail: solarorz@hotmail.com). 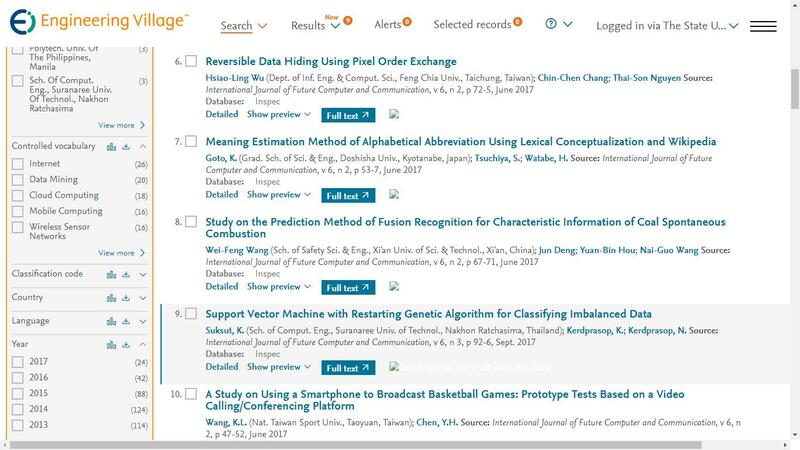 Kai-Di Chang and Jiann-Liang Chen are with Department of Electrical Engineering, National Taiwan University of Science and Technology, Taipei, Taiwan (e-mail: kedy@ieee.org). I-Long Lin and Han-Chieh Chao are with the Institute of Computer Science and Information Engineering, National ILan University, ILan, Taiwan. (e-mail: paul@mail.cpu.edu.tw, hcc@niu.edu.tw). Cite: Shih-Hao Peng, Kai-Di Chang, Jiann-Liang Chen, I-Long Lin, and Han-Chieh Chao, "A Probabilistic Packet Marking scheme with LT Code for IP Traceback," International Journal of Future Computer and Communication vol. 1, no. 1, pp. 51-56, 2012.